The #whitecouchproject was created in 2015 to capture amazing memories while giving back to the community. Since then, hundreds of families have been photographed and $26,692 has been donated to non-profits in Wisconsin. This event captures photographs of families, friends and individuals for an affordable price with 100% of the proceeds being donated to non-profit organizations in Wisconsin. Talk about Capturing Memories with Meaning! Mother's Day weekend the couches are traveling all the way to Door County, WI. This year we have a beautiful location provided to us by Reclaimed Resale & Workshop! 100% of this year's proceeds will be donated to the Children's Hospital of Wisconsin! Your photographers will be WCP founder, Casey Syvrud and her second shooter Victoria Danielle Ehlers! Appointments are limited. Make sure to book yours today! • Sessions last between five and ten minutes. • We typically have 7-15 images per family following the sessions. • Each family will receive a minimum of 7 images. • Images will be selected by the photographers. • Final images will be emailed to the address you provide to us at time of booking. • Final images will arrive by June 11, 2019. Join us February 28th for a Headshot Mini Session! Bring any props that speak to you and your brand and of course that big beautiful smile! You'll receive minimum of 7 beautiful brand new headshots within one week of your session. This years Headshot Mini Sessions will be located indoors at Open Door Lodgings Sister Bay home. This brand new custom build is features great natural lighting perfect for this shoot. $75 - Includes sitting fee for one person as well as all edited images. please bring cash or check upon arrival. Each session will last 20 minutes. The minimum amount of images you will receive is 7. Of course if more photos turn out we will send you all of them. Online Image galleries will be delivered by March 8th via email. To book your session please email victoria.danielle.ld@gmail.com! Join us Sunday December 2nd & Monday December 3rd for a Holiday Mini Session! Bring your kids, partners, grandparents or just yourself to capture this beautiful season! 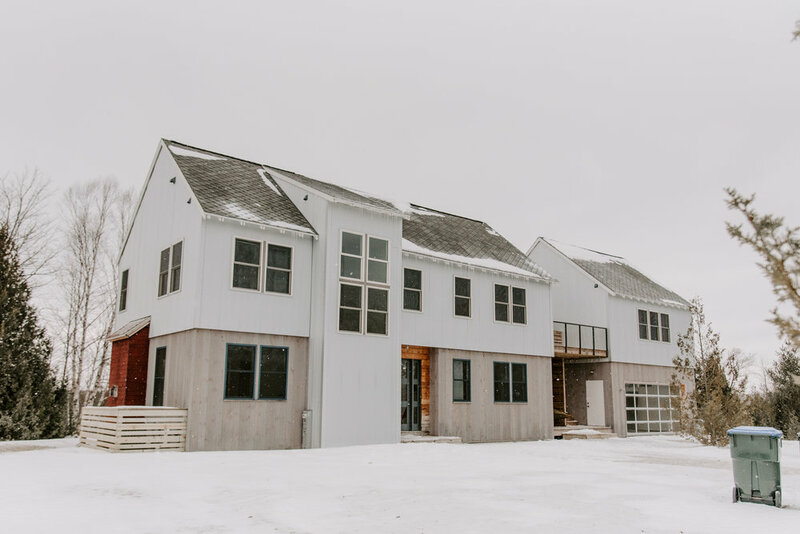 This years Holiday Mini Sessions will be located outdoors at the Eclectic Modern Farmhouse with Open Door Lodging. If weather is not permitting, we will move the shoot indoors on location. I encourage you to bring any props for the shoot such as blankets, wreaths, signs, or even toys to help your little ones smile for the camera. Light snacks & Beverages will be available! $75 - Includes sitting fee for one family as well as the edited images. The minimum amount of images you will receive is 10. Online Image galleries will be delivered by December 12th via email.